OK step one you NEVER start an engine with a new cam until you've verified ALL clearances and valve train geometry are correct! verify the oil and coolant levels are correct and rotate the engine by hand several times to verify nothing binds! have a running garden hose handy for use in cooling the radiator and having a fire extinguisher handy is potentially a huge help if things go badly! and you have pre-lubed the engine while slowly manually rotating the crank until all push rods show oil flow,at the rockers and the gauge shows a minimum of 10 psi have you not? Id watch the coolant temperature and oil pressure constantly, and have checked fuel pressure , carburetor float levels, or fuel pressure in the injector fuel rails and injector resistance. honestly this takes a good deal longer to post about and discuss that to correct and check, so what ever method you might select ,Adjusting the valves on any new engine as it is a rather simple procedure, that youll need to go thru on almost any new engine instal and you can use the E-O, I-C method,or if your experienced the adjustments easily done at idle speed, your choice, either works just fine if you know what your doing. its the stupid simple stuff that most guys forget! don,t forget to double and triple check all the fluids levels, is there at least 6 gallons of fresh gas in the tank?,did you put in and check,the fuel filter and check for leaks , verify the fuel pressure regulator works, gauges work?,battery has a full charge? ,engine oil, level, on the dip stick, coolant,level in radiator, brake fluid,bleed brakes, check, transmission fluid , and make sure converters full, verify the tires air pressures good,brake lights work, brakes work,steering works, battery is not loose , have you verified full flawless function of the throttle linkage,and transmission shifter linkage, that fan belts are aligned and tight, lug nuts are tight, u-joint bolts are fastened, radiator hose clamps are tight?, trans coolant lines are tight? got your license and registration, insurance, a cell phone? and some one too tow you home if that's required? ?etc. if you adjusted the valve train with out that oil holding the push rod seat up, the lifter will push very little oil up the push rods to the rockers and will sometimes result in excessive wear like you describe. THAT'S why IVE always preferred the hydraulic cams be adjusted at idle by backing off the rocker nuts until the rocker clicks and slowly tightening the rocker nut just to the point the clicking stops then adding a 1/4 turn of preload, this allows the lifter to pump up. â€¢ Have a high quality service manual available, such as the factory service manual, or the vehicle specific manuals published by Chiltons, Motors, or Haynes. You will need these for the basic information regarding engine disassemble and reassemble along with the torque settings for the various fasteners. â€¢ Read and understand the manual completely, along with these instructions before you begin working. We highly recommend you also have the assistance of a knowledgeable friend to assist you, especially during the initial fire-up and break-in period. In addition to the normal installation procedure, installing a performance camshaft requires you to check for several extra items to insure long life and optimum performance. 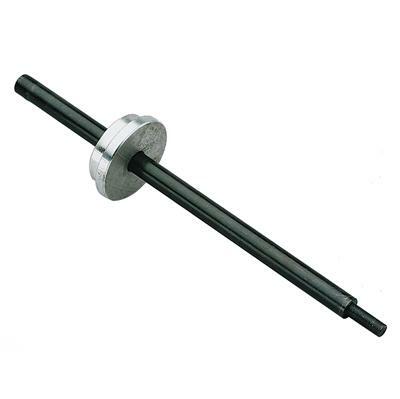 â€¢ New Lifters Are A Must- There is no such thing as a good used lifter! 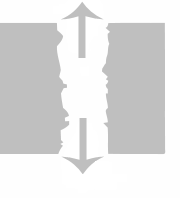 Any flat faced lifter establishes a wear pattern almost immediately with the cam lobe it is riding on and cannot be used on any other cam lobe, let alone a different cam. Should you have a need to disassemble the engine, make sure you keep the lifters in order so they go back on to the exact same lobes. â€¢ Valve Spring Pressure and Travel- We highly recommend purchasing the matching valve springs recommended in our catalog. This insures you will have the proper pressures, both closed and open, and sufficient travel to get the maximum rpm, performance and life from your new cam. â€¢ Piston to Valve Clearance- While many performance cams will work just fine with stock pistons, there are many factors that effect your engine and the clearance available. Things such as factory tolerances, normal machine work such as head and block surfacing, aftermarket components such as cylinder heads, higher ratio rocker arms, etc. all effect your engines ability to handle a performance camshaft. â€¢ Valve Train Interference- In addition to valve spring travel and piston-to-valve clearance, a commonly overlooked area is that of retainer to seal clearance. The other common area of interference is rocker arm to stud clearance along with rocker arm travel. The best way to check these is by physically opening both a intake and an exhaust valve on each cylinder head to the gross lift of the cam plus and additional .030". It is easiest to do this by pressing down on the rocker arm with one of the many tools available. Do not simply rotate the engine to the maximum lift point for a given valve. This does not work when engines are hydraulic lifter equipped, or even allow any margin of safety when you are using a mechanical lifter cam. â€¢ Valve Adjustment- The easiest way to insure proper adjustment is to adjust the rocker arms as you install them, one cylinder at a time. Adjust the intake valve as the exhaust valve is just starting to open and adjust the exhaust valve when the intake valve is almost closed. It is simplest to do this with the intake manifold off and watching the lifterâ€™s movement. â€¢ Hydraulic Lifter Valve Adjustment- All engines, regardless of manufacture, require correct valve adjustment. Some engines, such as Chevrolet V-8â€™s, are equipped with stud mounted rocker arms can easily be adjusted to compensate for changes incurred during engine assembly. Never just torque the rocker arm into place and assume that the lifter pre-load will automatically be correct. Various engine manufacturers use multiple length push rods, shims, and spacers to compensate for changes in pre-load. Hydraulic lifters cannot compensate for all changes. 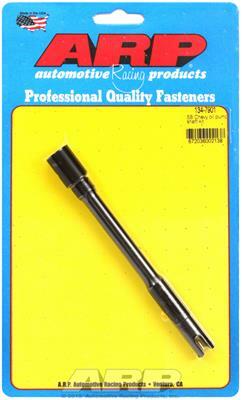 Ideal lifter pre-load is .020" to .080". Do not attempt to fill the lifters full of oil prior to installation. They will fill automatically once started and manually filling them makes adjusting the pre-load a difficult task. â€¢ Mechanical Lifter Valve Adjustment- Adjusting mechanical lifters should be done the same way as outlined above, one valve at a time. 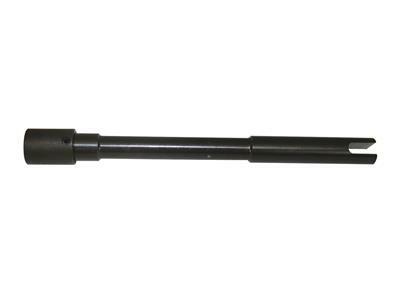 For an initial setting, we recommend .003" to .005" than listed on the camâ€™s specification card. Once broken in and with the engine fully warmed up, re set the rocker arms to the camâ€™s specification sheet. 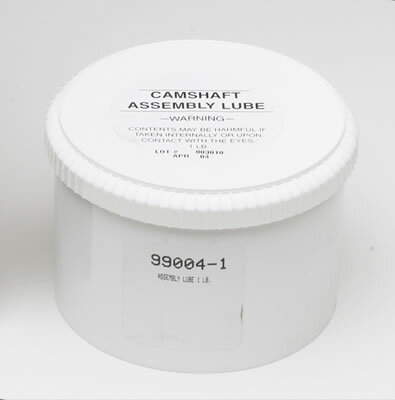 â€¢ Installation Lubricants- All flat faced (non-roller) camshafts require the use of high pressure lubricant supplied with your Erson cam on the bottom of the lifters, the lobes of the cam and on the distributor drive gear. Do not use this lube on the tips of the pushrods, the sides of the lifters or on the rocker arms. Use a quality oil when installing roller tappets. 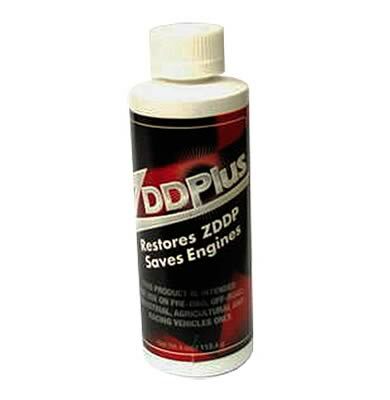 â€¢ Fill All of the Engineâ€™s Fluids- Using a minimum of a SAE API SD, SE or better fresh clean mineral based oil, fill the engine to the proper level. Do not use synthetic oil during break-in. Fill the coolant system and follow the instructions on purging air from the system. With carburetor equipped engines, fill the carburetor to insure fuel is available immediately. Make sure that the ignition timing is properly set to insure immediate starting, without excess cranking of the engine. â€¢ Pre-Lube the Engine- Using a oil pump priming tool such as those available from Mallory, spin the engineâ€™s oil pump until you see pressure on the gauge or have oil at the rocker arms. Do not attempt to prime the engine using the starter motor! â€¢ Proper Ventilation- Make sure that you do not start the engine without good airflow. That means have the overhead garage door open and the exhaust vented to the outside. If you have any doubts about sufficient airflow to the engine, push the car out of the garage to make sure the radiator can draw in plenty of air. Having a fan to blow fresh air through the garage is a plus. â€¢ Exhaust System- If at all possible, start the car with a muffled exhaust system hooked up and operational. It makes it much easier to hear what is going on. â€¢ Resist the Urge- Take a minute before you try to start the engine for the first time and double check that you are ready to go. Donâ€™t take any short cuts or leave parts such as fan shrouds, air cleaner, wire looms, etc. off. Clean up the are around and especially under your vehicle. Pick up your tools and wipe up the floor so you can easily spot even a minor leak. â€¢ Be Prepared- Have extra coolant or a hose handy, clean rags, tools for tightening clamps, connections, etc. just in case. They need to be in place to make sure you have an uneventful break-in of the camshaft. â€¢ Have a Helper- Now is the time for a helper. They can check the coolant level, check for oil and fluid leaks, and proper operation of under hood accessories. Air pockets in the coolant system are common so make sure the recovery bottle is checked and filled as necessary. You cannot count on the temperature gauge. Temperature gauges are only accurate if the sensor is submerged in coolant and will not give an accurate reading if in an air pocket. â€¢ Do Not Idle the Engine- As soon as the engine starts, raise the rpm to 2,000 rpm. You should also constantly vary the RPM between 2,000 and 3,000 RPM for the first 20 minutes. This is the only way to insure proper lubrication during this critical period since the camshaft to lifter contact area relies almost exclusively on oil splash from the crank and connecting rods. Make sure that you run the engine for a full 20 minutes using this procedure. It will seem like forever, but it is one of the most important steps to insure long, dependable performance. Once Break-in is Complete- Drain and replace the engine oil and filter with new, fresh oil and a new filter. Recheck for any fluid leaks and check all fluid levels. If you installed a mechanical lifter style camshaft, flat faced or roller style, the valve adjustment should be rechecked at this time with the engine fully warmed up. Hydraulic lifter equipped engines should not require any readjustment. Proper maintenance is important for any vehicle. Frequent oil changes, with a new filter is one of the easiest ways to insure your vehicle will deliver the performance you want for many long happy miles. Print this page out and check off boxes below (in the printed copy) when each step is completed. 1) Safety first! If the car is on the ground, be sure the emergency brake is set, the wheels are chocked, and the transmission cannot fall into gear. Next verify that all hoses are tight and that both the radiator and radiator over flow jar/tank are full and have been filled with the proper anti-freeze and water mix. 2) Before starting your engine for the first time, add one pint of engine oil supplement ( EOSÂ¹) to the crankcase oil and then check the oil level. Once this has been done, prime the oil system with an oil pump primer tool. Make sure number 1 cylinder is on TDC compression stroke, and install the distributor. 3) Adjust the distributor timing roughly by hand for a quick start up and smoothest idle possible. 4) When the engine first starts, verify that the engine rpm is at a safe level and that the timing is set near or at 30Â° before top dead center (BTDC). Run the engine speed between 1,500 and 2,500 RPMâ€™s, varying the engine speed up and down with-in this range, to prevent overheating of the exhaust valves and the exhaust system. This should be done with no-load on the engine and for the first 30 minutes of operation. 5) After the first 30 minutes of the engine running, set the ignition timing according to the timing specifications. Now would be a good time to check thoroughly for leaks. 6) Adjust the carburetor settings, if necessary. 7) Drive the vehicle with varying speeds and loads on the engine for the first 30 miles. Be sure not to use a lot of throttle or high RPM. 8) Run five or six medium-throttle accelerations to about 3,800 RPM (55 to 60 MPH), then letting off in gear and coasting back down to 20 MPH. 9) Run a couple hard-throttle accelerations up to about 3,800 RPM (55 to 60 MPH), then letting off in gear and coasting back down to 20 MPH. 10) Change the oil and filter with recommended oil (10w30SG in most cases) and filter. 11) Drive the next 500 miles normally, without high RPMâ€™s (below 3,800 RPM), hard use, or extended periods of high loading. 12) Change oil and filter again. 13) Your engine is now ready for many happy cruising miles! NoteÂ¹: EOS P/N 1052367 can be used any time during the life of the engine. Technical Note: This procedure has been corrected and improved from the original GMPP procedure by GILBERT CHEVROLET. sitting with no air other than the fan moving air thru the radiator is bound to run a bit hotter than on the road, anything under 220F is normal /expected under those conditions. I run a water hose thru the radiators cooling fins when testing under those conditions., on the street it should run fairly consistently in the 180F-190F range with a 180F T-stat. A great deal of the heat is transferred to the oil and trans fluids long before the radiator and coolant sees it,routing the hot trans fluid to an aux cooler and adding a high capacity oil pan significantly reduces the heat the radiator needs to transfer from the coolant to the air flow thru it. its been my experience that many cam failures are related to clearance issues or lack of correct lubrication far more than the use of the less than ideal spring load rates. ITS HIGHLY RECOMMENDED that you pre-prime the oil sysyem filter and oil passages on a new engine while you rotate it slowly by hand until all the push rods are flowing oil to the rockers. engines, but particularly on Big Block Chevrolets"
be sure you turn the engine over at least two full turns while applying pressure to and lubing the oil passages to get full access to all the lifters,rockers,bearings etc. "Why is the first one worthless?" LOOK CLOSELY, the top primer has no collar to keep the drive shaft centered over the pump so it can slightly mis-align and bind, Ive seen them bend the pump drive if guys get them mis-aligned and just throw a high torque 1/2 drill on and spin them without checking, the lower primer has an alignment collar that tends to keep things from breaking,,yes both have the alignment collar for the manifold but only the bottom one has the lower block support and alignment sleeve that forms the lower oil passage wall, and the drive collar that assure the oil pump drive itself is lined up correctly,keep in mind,the bottom of the stock distributor forms one wall of the main oil passage to one side of the engine, without that passage wall in place you get no oil pressure to one side and darn little to the other due to the HUGE leak the missing oil passage wall presents, the lower distributor is temporarily replaced with that extra aluminum on the lower primer to simulate the correct oil passage config....THATS WHY! The most sophisticated windage tray available today! This exclusive Milodon design features hundreds and hundreds of small louvers that quickly scavenge oil from crankshaft rotation, but prevents reversion common to screen-type windage trays. This is a completely finished, gold irradiated part that does not require additional fitting. And it flat works! Extensive dynometers and on-track testing verifies that Milodon "Diamond Stripper" windage trays out-perform all other screen type trays on the market. These trays will fit both the Small Block Chevy 350 and 400 main cap bolt pattern. They will also fit right and left hand dipstick engines, as when adjusted properly the dipstick will pass underneath the tray. What do the scrapers bolt to? The pan rails, what do they do? they either bolt to the block,between the oil pan gasket and the pan or you can weld them to the oil pan rail, on the oil pan,most guys braze or J&B EPOXY THEM TO THE OIL PAN RAIL, no they don,t touch the rotating assembly, you place them and carefully trim them, durring the engine assembly process, so that while you spin the rotaing assembly the teeth miss the outer arc of the rotation by about 1/8" and they are placed on the side of the engine that sees the rotation upwards from the sump, the idea is to restrict oil flow from the sump following the spinning assembly around in the lower block, it helps skim away and restrict oil falling from the upper engine, to remain in the sump area of the oil pan, after the crank assembly sweeps it into the sump. that way almosrt all the oil makes only a 100-250 degree trip around with the spinning crank a single time, before being forced back into the oil pan. its NOT installed and used as a source of potentially gaining hp as much as it is a way too insure a steady flow of oil to the oil pump, but it tends to reduce pumping losses that dragging oil around with the rotating assembly can produce. BTW the idea of installing the flat tappet solid or hydraulic lifter cam in a different engine for the break-in process, or swapping a flat tappet solid or hydraulic lifter cam and lifters in an older engine to a new block is FLAWED , for the simple reason that the lifter bore angles and spacing WILL BE very slightly different, maybe only a few thousandths but enough that the lifter to lobe contact areas WILL BE DIFFERENT and as a result there's a slightly INCREASED chance of the lifter lobe wear pattern causing issues once the lifters and cam are swapped between the two blocks, and the second engines started as the contact areas will change between lifter and lobe surface. and swapping just the used cam and installing new lifters in the new block also slightly increases the risk of inducing wear issues as the new lifters seat on the used cam for similar reasons. yes swapping new lifters on as used cam if properly done and well lubed is not a exceptionally high risk process , but its generally best to install both parts 9lifters and cam0 with plenty of moly lube and the correct oils and additives and use fairly low spring pressures, many experienced engine builders realize that swapping valve springs is time consuming and fairly difficult so they use a different option, and thats a lower ratio rocker arm. just as an example , if your valve springs on a SBC engine are rated at 130 lb seat and lets say 300 lbs open, at max valve lift of .550 and you were to swap from the 1.6:1 ratio you intend to run on the car,too the 1.3:1 ratio rockers during the break in process, you effectively reduce the lifter to cam lobe loads by nearly 1/3rd as the parts lap in, which can easily be the difference between a cam that laps in and lasts or a failed cam lobe or lifter. if youve adjusted the valves correctly the lifter spins at all rpm levels,but that does NOT mean it wears EVENLY at all rpm levels due to several factors if you look closely AT FLAT TAPPET CAMS , youll see that the center of the cam lobe is NOT centered under the lifter and that the lifter surface is slightly angled , BOTH these factors force the lifter to spin in its bore as the lobe passes under the lifter slightly off center. BTW, It should go without saying it but Ill post this bit of info anyway, theres an oil pump drive shaft connection between the oil pump drive and the lower distributor, theres a blade/slot type connector at both ends of the shaft and the shaft length should allow there to be about .030-.050" of vertical play or slack in the shaft when the distributors seated and clamped in place and the oil pumps firmly bolted with a stud to the rear main cap,the stud lower end should NOT touch the rear main bearing shell and ideally youll use loctite on its course thread section in the main cap. 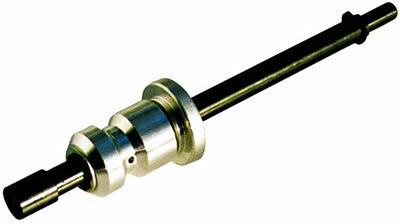 theres several designs and several lengths on these oil pump drive shafts. many guys don,t realize the oil pump drive shaft design is why the distributor will only fully seat on the intake in the two locations 180 degrees apart and that you need to index the drive before seating the distributor to get the rotor to point where you want it too. If you use a nylon sleeve/collar, its not unheard of for the slot drive to break off a part and the pump to spin erratically at low rpms or fail to spin at high rpms, so verifying its the correct length, not binding, and in good condition, rather than just assuming its correct is smart, and BTW the steel collar prevents the shaft from being installed from the top of the block, you need to install the pump with the shaft attached from the lower block,if you forget don,t get stupid and cut off the collar and drop it in from the top, it will work temporarily but it almost always fails eventually if you do. Fill the coolant system and follow the instructions on purging air from the system. OK, I'm stumped. I searched on "purge" and did not find anything on purging the cooling system. My 1961 shop manual doesn't mention it either. How do you do this? I paid good money for this flat tappet cam crate engine and I REALLY want to get it right. Another dumb question: the brochure from the builder says to set the initial timing at around 1000-1200 rpm, (no vacuum advance on this engine ever) at 13-16. It also says on initial startup and for the 1st 20 min not to go below 1500 RPM, preferably not below 2000 RPM. So, how do you resolve the dilema of setting the timing at 1000 RPM but not not letting the RPM go below 1500-2000 RPM during initial startup and cam breakin? grumpyvette wrote: ITS HIGHLY RECOMMENDED that you pre-prime the oil sysyem filter and oil passages on a new engine while you rotate it slowly by hand untill all the pushrods are flowing oil to the rockers. OK, I've never done this before so I have another dumb question. I'm priming my new crate engine now (about 5 minutes so far) that hasn't been turned over in more than a year. I'm getting oil only on the driver side rockers, none on the passenger side. I know that I'm supposed to turn the crank while I'm priming but I was going to wait until I saw oil on both sides before turning it. I don't know exactly how the oil gets to the lifter passages; does the cam have to turn to to align with something? Since I haven't turned the crank at all, am I blocking oil flow to the passenger side valve train? Should I prime more and wait for oil flow on the passenger side or should I go ahead and turn the crank even though there's no oil on the that side? Thanks, you caught me not reading all the fine print. I bought the "better" tool but then I compared the length from the bottom of the lower collar to the tip with the same dimension on my distributor; about 3/8" longer! So, even though the collar's there, it's too far up. I'll cut it down tomorrow and try again. You can actually see the longer length on tool I bought on the left to that of a different brand; both from the same catalog. Turned out to be too much work to modify the tool; bought a new one instead, the one with the correct dimensions. Hopefully I can get a refund for the POS. Got oil pressure on BOTH sides today. Turned the crank by hand a few times, checked that none of the valves are stuck and turned the crank a few more times to measure runout on my bellhousing.